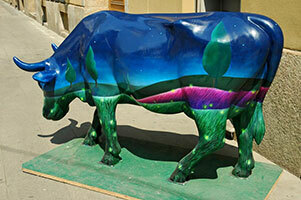 The cows arrived in Milan in May 2007. Here are some of my photos of them and the City of Milan. The other serie are by Loulou. She lives in Milan and spent many days photographing them. I was only there for one day.